A multinomial logit model and survey data from the 25 EU member states and the US are used to establish the effect of demographic and other variables on various entrepreneurial engagement levels. These engagement levels range from “never thought about starting a business” to “thinking about it”, “taking steps for starting up”, “having a young business”, “having an older business” and “no longer being an entrepreneur”. Data of the 2004 Entrepreneurship Flash Eurobarometer survey containing over 13,500 observations is used. Other than demographic variables such as gender, age, education level and whether parents are self-employed, the set of explanatory variables used includes country specific effects, measures of risk tolerance, internal and external locus of control and four perceptions of ’obstacles’. The ‘obstacle’ variables include the perception by respondents of administrative complexities, of availability of financial support, of accessibility of information for start-up and whether the current economic climate is favorable. 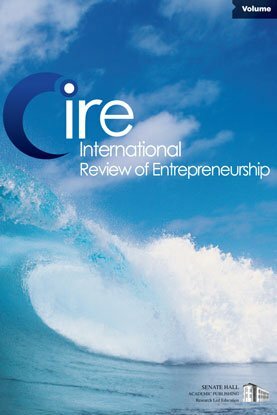 Among the four perception variables only administrative complexities displays an unambiguous obstacle profile in that its presence has a significant negative impact on higher entrepreneurial engagement levels. Country effects suggest a clear underperformance of Europe relative to the US in less mature entrepreneurial phases.